Open fractures are commonly associated with additional major injury following high-energy mechanisms. A thorough evaluation of the local injury as well as considering the patient’s status represents the basis for therapeutic steps. further Careful debridement and irrigation using pressure pulsatile lavage should be performed within the first 12 h. Systemic antibiotic administration should be performed as early as possible for infection prevention. 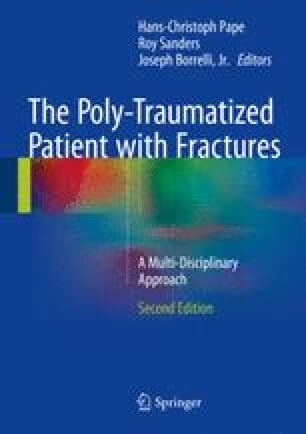 Dependent on the patient’s condition and local injury pattern, fracture stabilization should be performed with external or internal stabilization devices. For type I and II injuries primary wound closure is possible, in type III injuries temporary wound closure using negative-pressure wound therapy should be performed.